It's Daughter vs. Father vs. Son! At the behest of an increasingly desperate U.N., the Scarlet Witch has arrived in Genosha! 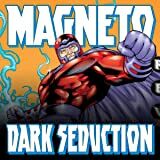 What lengths will Magneto go in order to convince his daughter that his vision for the island nation will lead it to a greater future? And, what lengths will Wanda Maximoff go to in order to make certain the innocents of Genosha are not doomed? 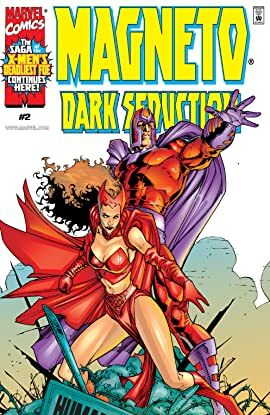 Meanwhile, what is the secret of Carrion Cove, and why are so many people willing to give their very lives to make sure Magneto doesn't uncover it?